I am born and brought up with Indian deserts and often crave for them. But I also feel guilty to have them because of the high sugar concentration. What if you can get rid of the sugar from these traditional, mouth-watering desserts? 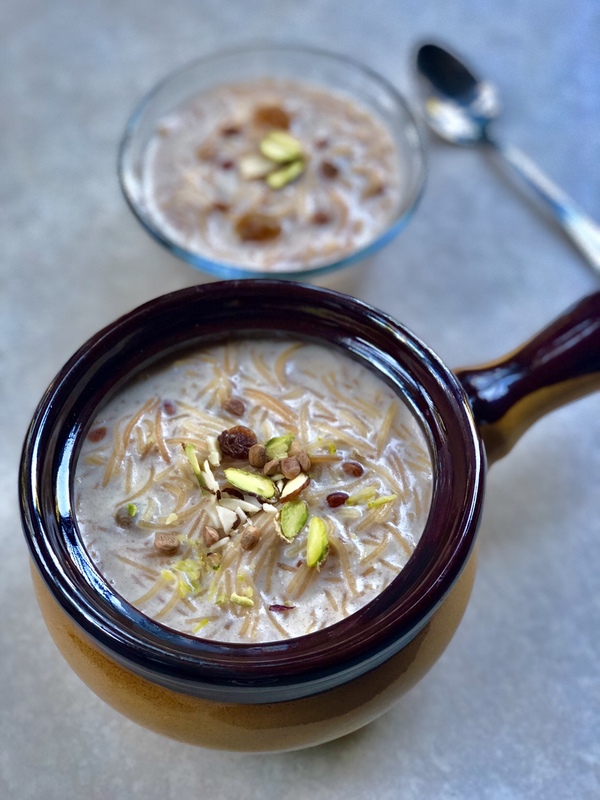 With this thought, I tried to make sugar-free kheer/pudding, one such traditional Indian dessert that is part of many festive meals. I would not recommend using artificial sugar substitutes. Though there are some artificial sweeteners that are derived from natural substances, they are processed and I am not a fan of processed food ingredients. Instead, I try to use natural sweeteners and in this recipe, I am using raw dates as my sweetener. Raw dates will also secretly add health benefits to my dessert bowl. I was surprised with the result, and I thought to post it right away. The kheer turned out even better than the one with sugar, and now there is no going back to sugar kheer for me. So try it out and feel free to experiment with other natural sweeteners and post your results in the comments. Drain water from the dates and nuts. In a blender, blend together the soaked dates, cashew nuts, and walnuts to a fine paste. Stir in the dates and nuts paste into the milk and mix well. Add cardamom powder and saffron. At this point, the milk will start to thicken due to the date and nut paste. Add all the other nuts and mix them well into the kheer/pudding. You can turn off the flame when your desired consistency to the pudding is achieved. Serve warm or chilled garnished with some nuts and enjoy this sugar-free delicious dessert!